Animals have been known to have senses far beyond the reaches of human capabilities. Whether it be the farm animals that know when the earthquake or tornado is coming, or the hospital dog that lies down with the folks that will be passing on from this world soon, animals are absolutely amazing beings. The article below discusses an experiment where Bees that are trained to smell cancer are being used to detect it in human beings, read more! 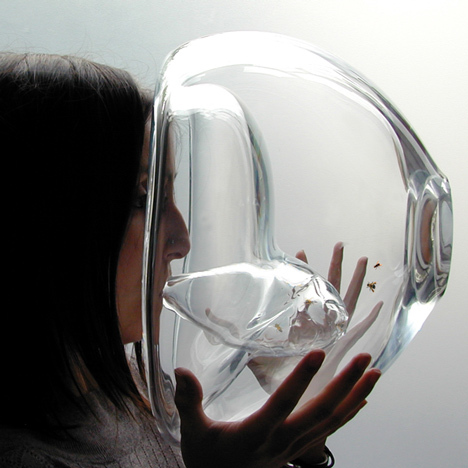 “Trained bees only rush into the smaller chamber if they can detect the odour on the patient’s breath that they have been trained to target,” explained Soares, who presented her Bee’s project at Dutch Design Week in Eindhoven last month. Scientists have found that honey bees – Apis mellifera – have an extraordinary sense of smell that is more acute than that of a sniffer dog and can detect airborne molecules in the parts-per-trillion range. Bees have also been trained to detect explosives and a company calledInsectinel is training “sniffer bees” to work in counter-terrorist operations. Bee’s explores how we might co-habit with natural biological systems and use their potential to increase our perceptive abilities. 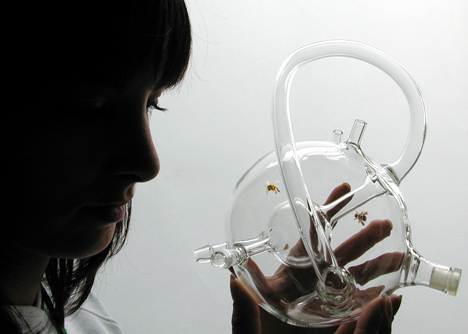 The objects facilitate bees’ odour detection abilities in human breath. Bees can be trained within 10 minutes using Pavlov’s reflex to target a wide range of natural and man-made chemicals and odours, including the biomarkers associated with certain diseases. Apocrine glands are known to contain pheromones that retain information about a person’s health that bees antennae can identify. – A bee centre: a structure that facilitates the technologic potential of bees. Within the centre is a beefarm, a training centre, a research lab and a healthcae centre. – Training centre: courses can be taken on beetraining where bees are collected and trained by beetrainers. These are specialists that learn beetraining techniques to be used in a large scope of applications, including diagnosing diseases. – BEE clinic: bees are used at the clinic for screening tests. These insects are very accurate in early medical diagnosis through detection on a person’s breath. Bees are a sustainable and valuable resource. After performing the diagnose in the clinic they are released, returning to their beehive.